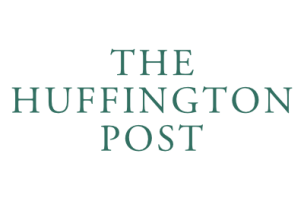 In March of this year, The Huffington Post jumped on the morning email tipsheet train, and three months after its launch, “The Morning Email” has proved to be an interesting and informative AM read for many. Weekdays, TME explores the day’s national, international, and pop culture headlines alongside top tweets and humorous GIFs. Described as a “quick and breezy morning news roundup,” the newsletter is compiled daily by Huff Post reporter Lauren Weber and Eliot Nelson, a political reporter and editor in the Huffington Post’s Washington bureau. We recently sat down with the two to find out what goes into compiling a successful morning email newsletter, what makes TME stand out among its competition, and who are their writing crushes. FishbowlDC: What time do you start compiling The Morning Email? Lauren: I write parts of TME the night before, mostly the less urgent bits (cat videos, lifestyle news and so forth). This prevents me from becoming completely nocturnal. In the morning, I get up around 5:30 or 6 a.m. and start typing away. Once I have a complete draft (gifs included), I turn it over to Eliot. FBDC: Tell us a bit about your process – how do you go about finding all of the relevant content? Lauren: I start by checking the major news orgs and wires. After that, I scan my reader feed that’s stacked with local, international and beat-specific outlets. I’m also subscribed to pretty much every tipsheet under the sun, which I read to improve my writing and make sure I didn’t miss anything. One of my most poignant moments thus far was highlighting the Nigerian kidnapping immediately after it happened, long before it gained traction elsewhere. FBDC: What makes TME stand out among other similar morning newsletters? Eliot: I’d argue that there aren’t many newsletters like The Morning Email. While there are certainly a lot of great daily tip sheets out there — funny ones, issue-specific ones, insider-y ones — there aren’t many that cover a broad spectrum of news the way a traditional paper does. With The Morning Email, you get an entertaining synopsis of national and international news, business, sports, culture, gossip and everything between. And funny videos of goats. FBDC: Who do you have a crush on based on their writing, not looks? Lauren: Anything Matthew Zoller Seitz writes, I read. His entertainment commentary is necessary for me to truly appreciate the complexity of the shows he covers. Also, got to throw a nod to Eliot for HuffPost Hill. His openers are comedic gold. Eliot: I’d have to go with my desk neighbor in the HuffPost D.C. office, Jason Linkins. His politics and media blogging is among the most insightful and hilarious out there. FBDC: Aside from everyone under the sun signing up for and reading TME, what would you like to see in store for it in the next year or two? Eliot: Email campaigns are becoming an increasingly popular way to reach readers, and there has been an attendant growth in the technology that can be used in them. Most recently, we’ve been toying with a scrolling news ticker that appears near the top and features up-to-the-minute news. In the coming months and years, I’d love to see newsletters become more dynamic, maybe not “Snowfall” in your inbox, but something less static than traditional email. To sign up for The Morning Email, click here.